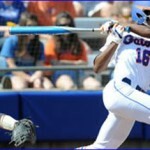 The Southeastern Conference released its annual awards for the sport of softball on Wednesday, and the Florida Gators came away with two individual awards and 10 total placements on the various All-SEC teams. Senior left fielder Kelsey Bruder became the third Florida player to be named SEC Player of the Year (first since 2006). She leads the SEC in home runs (11), RBI (36), hits (40), runs (32), doubles (10), total bases (83) and slugging percentage (.883). Joining her with an individual award is head coach Tim Walton, who was named a SEC Co-Coach of the Year along with LSU’s Yvette Girouard. Very well deserved. Good luck to our Lady Gators in the SEC Tourney! Lady Gators ROCK ( and might I add not even a SINGLE drug or drunk driving arrest)! Whatever we are paying Coach Walton, it’s probably not enough – we need to lock him up just for the recruiting pipeline he has to the west coast, alone.